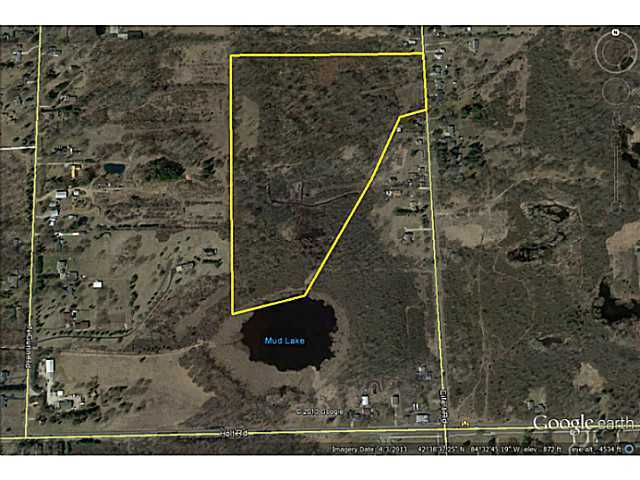 35+ acres of beautiful rolling hills, woods, and wetlands located in Holt/Delhi Township, MI 48842. This must see and hard to come by property is full of wildlife and features 20 mature fruit trees scattered about and a recently planted orchard that will fruit in 2-3 years, 3 acres of planted Switch grass providing the absolute best cover for deer, 5-6 acres (easily construct more) of tillable land – currently being used as food plots, mixed hardwoods and dense cover are ideal for holding wildlife, and access to 10+ acre lake providing bluegill, bass, and other species of fish a perfect habitat. You’ll be amazed at the thousands of game birds that can be seen coming into the lake in a single evening – world class water-fowling. The property has been setup for Quality Deer Management since 2009. This property has been carefully planned out and strategically set up for hunting with pinch points and travel corridors. Premium build sites are perfect for the house of your dreams in a private setting and yet you are so close to all of the amenities that Delhi Township provides. – Don’t miss out! For additional information on this listing click here! Posted on July 18, 2013, in Vacant Land. Bookmark the permalink. Leave a comment.